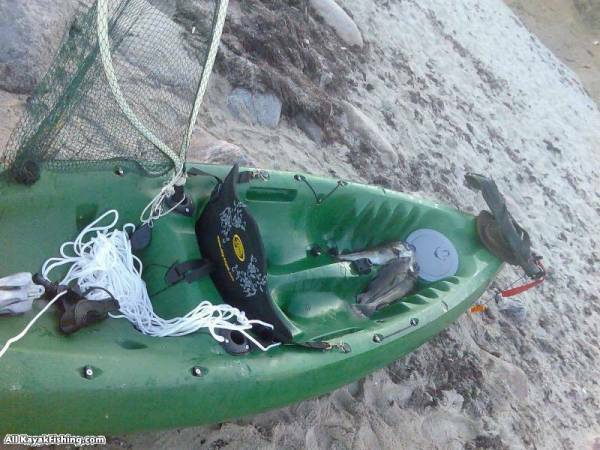 These are pictures of my first kayakfishing tour on the baltic sea. There we are fishing about 300-500 meters from the beach for seatrout and Dorsch(german name). My first tour was really exiting, because of the new feeling on my SOT.